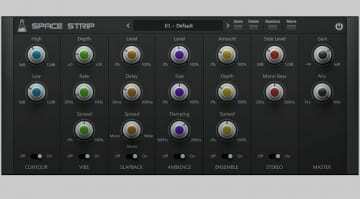 AudioThing has released what they are calling “a faithful emulation plug-in of a famous vintage tape echo”. Can you tell what it is yet? Outer Space is quite obviously a Roland Space Echo RE-201 clone and it looks pretty darn perfect to me. 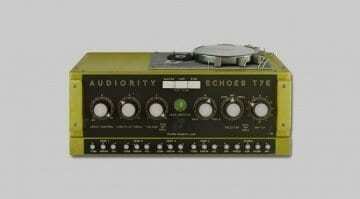 It has the echo section with three playback heads and a spring reverb tank. Everything you want for that classic dub and echoey reverb. They emulated the noise and crappiness of the machine to ensure the right amount of authentic imperfections. You’ll also find the doppler effect weirdness is maintained through the modelling of the ballistic response of the delay rate. The controls are essentially identical to the RE-201 with some added controls over wow and flutter, decay, noise amount and whether it’s background or shaped by the envelope of the incoming signal. You’ve also got some tempo sync and a switch to select different tape types. There’s also a selection of presets and a randomiser button to generate some accidental ideas. Although, I imagine it’s not too difficult to get it to sound like you know you want it to. The Roland Space Echo is one of those units that is able to elicit joy from whoever is playing with it. 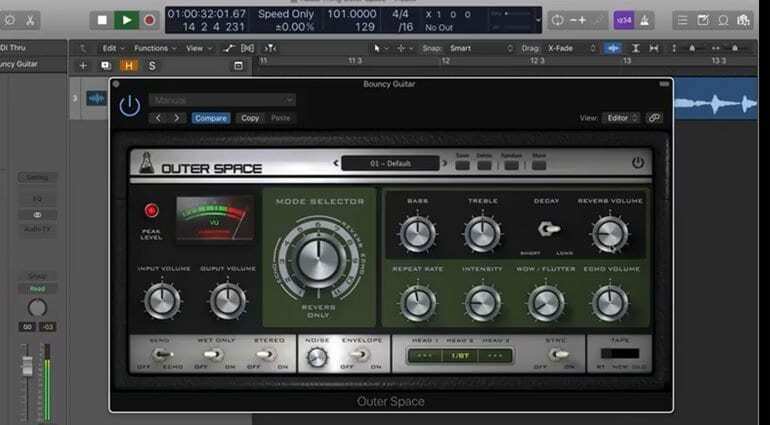 As emulations go AudioThing’s Outer Space was able to pull similar emotions out of me as I was fiddling with the demo. 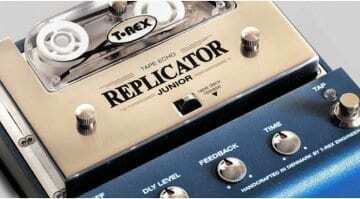 It’s simple, sounds excellent and is so much fun to play with that you do find yourself wishing you had the real thing. It does beg for the sort of hands-on control that software can’t always emulate. Outer Space is available now for and an introductory price of €39 for MacOS and Windows in VST, AU and AAX formats. 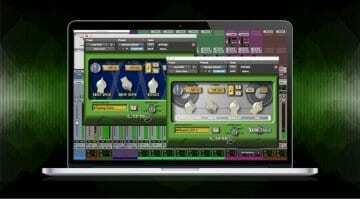 More information on the AudioThing website.